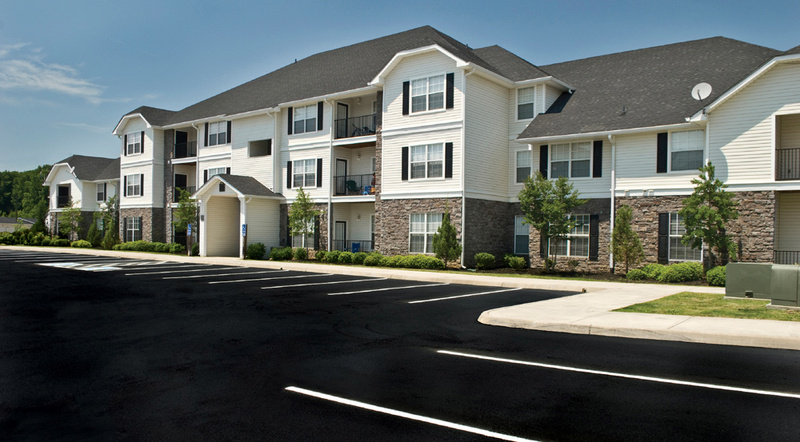 As a property manager we understand that your goal of maintaining your physical plant assets in the most cost effective and efficient manner is key. We give our contractor customers a turnkey pavement maintenance program that allows you to focus on other projects. Your parking lot is not only a major asset but it’s the entrance to your facility and creates a first impression for visitors and tenants. Dalton’s products are designed to be turn-key and extend the life of your pavement as part of a scheduled maintenance program. 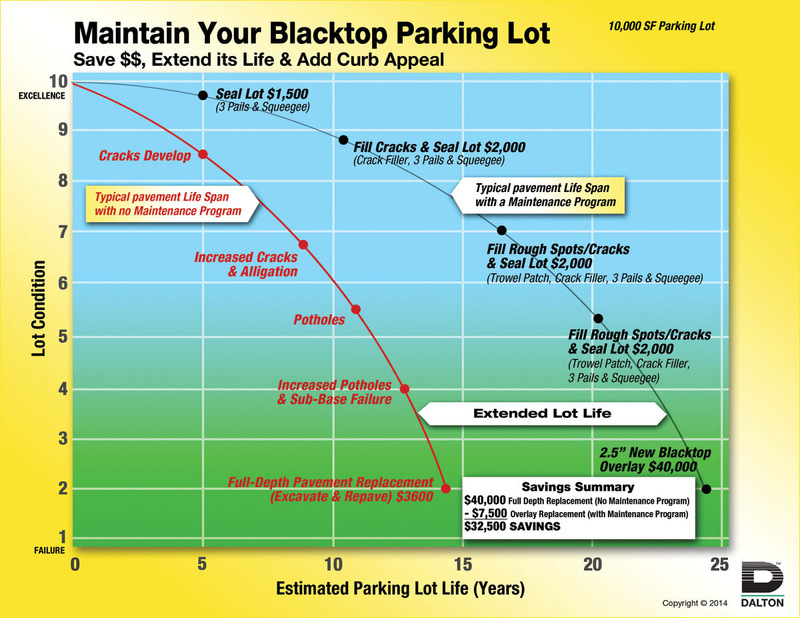 Please visit our pavement sealers section to learn about our NEW XL-1000 Asphalt Sealer - a high performing alternative to coal tar that offers excellent protection and beautification to your parking lot. Incorporating a maintenance plan into your budget, similar to the graph below, will put off a costly repave, add curb appeal to your property and prevent costly accidents from occurring.